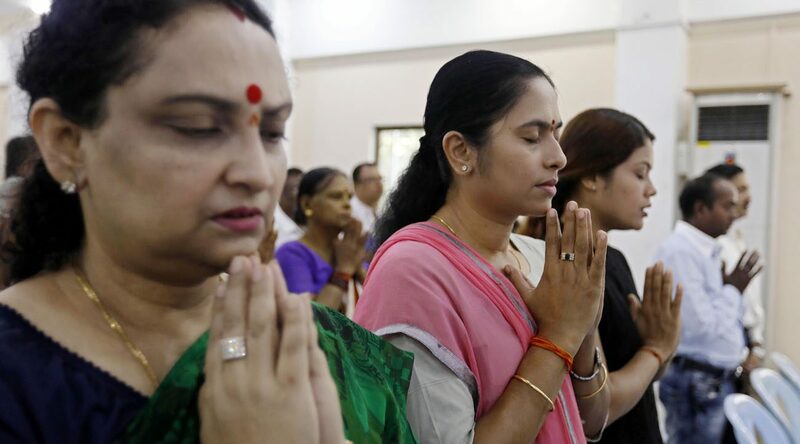 VATICAN CITY (CNS) — Peace and harmony will not result from members of different religions simply tolerating each other; respect and appreciation of customs and cultural diversity is required, top Vatican officials said in a message to the world’s Hindus. “Respect creates space for every person and nurtures within us a sense of ‘feeling at home’ with others. Rather than dividing and isolating, respect allows us to see our differences as a sign of the diversity and richness of the one human family,” said the message from the Pontifical Council for Interreligious Dialogue. Cardinal Jean-Louis Tauran and Bishop Miguel Angel Ayuso Guixot, respectively the president and secretary of the pontifical, extended their best wishes to the world’s 1.1 billion Hindus for the feast of Diwali, a three-day religious festival, which was to begin Oct. 19 in most parts of the world. The festival focuses on the victory of truth over lies, light over darkness, life over death and good over evil. The path to mutual respect between communities has no room for intolerance, which spawns “violence in many parts of the world,” the message said. Thus, a true culture of respect is required for peacemaking and harmonious living between communities. “We are challenged then to go beyond the confines of tolerance by showing respect to all individuals and communities for everyone desires and deserves to be valued according to his or her innate dignity,” said the Vatican officials. The message to Hindus was released Oct. 16 at the Vatican.